I need a new word for euphemism. As the world gets progressively weirder, and as I try to maintain some sense of dignity and self-control in my communications with others – both written and verbal – all the good euphemisms seem to be losing their luster from overuse – especially the ones people use to avoid to whole insensitivity-to-deity issue: gad, gadzooks, gosh; gee, jeepers, jeez. Aside from their overuse, they lack etymological ‘oomph’ – unless you are currently starring in a production of Grease. Before you offer up new, non-offensive, not oblique suggestions, keep in mind that euphemisms are not exactly synonyms – although the major disparagements of our language are showing a fair amount of wear-and-tear as well; moron, idiot, nitwit, halfwit, imbecile, twit, dolt, nimrod, et al, are repetitively redundant in an accelerated manner as never before seen. Personally, I blame Facebook and Twitter, though the case could certainly be made that we are living in different times – the Age of the Buffoons, perhaps. Doesn’t have the same pleasing lilt to it as ‘The Age of Enlightenment’ does it? Since we seem to be living in a time that is just the opposite realm of intellectual renewal, maybe my first euphemistic recalculation can be something along the lines of ‘The Age of Fried Filaments’. Eh, rather clunky. And too obscure, as younger folks used to curly bulbs will be as clueless as they are filamentless. ‘Euphemisms can take different forms, but they all involve substituting a word or phrase considered to be less offensive than another. That is another personal, flexible euphemism I like to use, and it usually hits its mark because, as I have gleefully discovered, if you say it with a bit of a chuckle, it gets a laugh, but when you add in a disapproving look and an edgier inflection, not a lot of people find the applied moniker ‘Skippy’ to be one of subjective endearment. Damn, Skippy! That’s just watering stuff down to make things seem peachier than they really are, and I don’t think we need to go down that road. As it stands, the idea of making something all soft-and-sweet-and-vague in this age of chaos and uncertainty is already being expanded by the absurdity of ‘alternative facts’ – which is not a euphemism for ‘opinion’ it is just plain wrong from a grammatical and practical standpoint. And that last statement is an English teacher fact, though this next one is my opinion: ‘alternative fact’ is the purest and unspoiled of oxymorons – a complete and contradictory abomination of language and rational thought. Though not being totally comfortable with the medical origins of the word ‘moron’ maybe I should opt for something more neutral; oxyclod? oxydolt? Oxydunce, perhaps. Son-of-a-Bisquick pancake! You really did. Two weeks ago Sunday, I had a heart attack. By Monday, I had learned a lot about a number of things; first and foremost, pay attention and listen to your body. I am glad I did. Sunday morning, just past nine. I was working on my laptop, and checking the time, as I was going to get dressed, and be out the door just after nine thirty to go to church. I was just wrapping up what I was typing, noting that it was 9:05, and I felt a weird pain behind my breastbone. This is not an unusual are of pain/discomfort for me, as I have a touch of arthritis on an upper rib, and sometimes, especially when I have been physically active, the tendons and muscles running across the are become inflamed. I can usually massage out the resulting muscle knot with my fingers, and sometimes throw on an ice pack. It was not an intense pain, but it was steady, and noticeably different. I cannot describe exactly how it was that much different, but I knew it was out of the norm. I figured I would let it go for a few minutes and see, but then I felt two pin-pricks on each side of my jaw. That, I knew was not right, even though they lasted just a few seconds and were not radiating to/from anywhere. Then, I felt the same sensation is each shoulder, and even though it lasted only a second or two, and was again not radiating, I knew I should get into the hospital. I woke up my wife, who had dozed off while reading, and told her I needed to get to the ER. We quickly got dressed, informed our son Sam about what was going on, and got in the car for the fifteen-minute drive to the hospital. While getting dressed, I felt a minor wave of nausea, so quickly popped in a TUMS. The drive was fine, until the last few minutes, when the pain in my chest intensified a bit; not tremendously, but enough so that it was noticeable. I was not, at this point in great pain, but I knew something was way off. Two minutes later, we pull up to the Oschner ER door, Amy goes to park the car. It was a blustery fall morning, cool and windy, but when I got out of the car and stood up, I felt flushed. When I walked in through the automatic doors, the desk staff commented on the cold wind blowing in. I walked up to the desk, gave them my info and insurance card, and they had me go sit down. I still felt ‘off’, but was not in appreciable pain. The clock on wall said 9:45. A young triage doc named Lance quickly called my name, had me sit and took my BP. He looked at the reading, then immediately ushered me into a room about ten feet away, where he hooked me up to an EKG. he asked how long I had been having this pain, and I said, “It started just after nine” to which Lance responded, “And you came right here?” We finished, he walked me out and told me to take a seat in the waiting area. Amy had just walked in from parking the car, so this all (BP, EKG) happened very quickly. Lance said he would be right back, and I took the chair next to Amy. By now I was very warm, and as I sat next too Amy, the pain started to intensify – actually, the pressure in my chest started to intensify, which led to pain all throughout my torso. A few minutes later Lance reappeared with a wheelchair, and said “Mr. Lucker, let’s go.” By now I was feeling rotten; chest pressure, I was hot, starting to become nauseous. As Lance started picking up speed with the wheelchair, it was like being on a carnival ride; I was relieved because the rushing air was cooling, but my nausea was getting worse. It seemed like a reasonable trade-off. Lance then turned sharply into a big exam room, and I counted at least eight people there, including a blonde woman who immediately introduced herself and said, “Mr. Lucker, Hi, I’m doctor —-, and we’re going to get you taken care of.” I, unfortunately, can’t remember her name, but she was incredible. At least six times that I remember, I went through this routine with a doctor – and that was just between my arrival in the ER, a trip to the exam room, and then being wheeled into the cath lab; a bit more than an hour, all told. Over the next day or so, I had the same conversation over and over, with other doctors and technicians, and all four of my stellar ICU nurses. The response was always one of surprise, and clarification was always sought, accompanied by a glance at whatever clock or watch was handy. Turns out, I am something of an anomaly. I listened to my body. What I have come to learn from the excellent doctors and nurses who have been caring for me is that most people in my situation do not listen to their own bodies, and wait – sometimes too long – to take their situation seriously and seek medical attention. 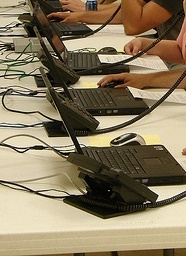 The medical professional said that most people wait – either because of denial or fear. 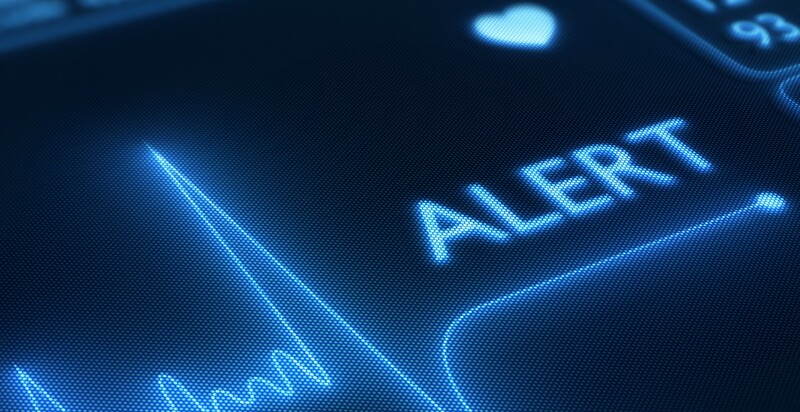 A quick bit of research on what the pros told me was easily confirmed; one NIH study I quickly found showed that 69% of heart attack patients had delayed seeking treatment for their symptoms. I cannot imagine what would have happened had I not. Had I waited, or just blown everything off, or headed to St. Marks, the worst part would have hit somewhere else other than the ER. I would not have been two minutes away from a team of professionals, one of who immediately placed a nitroglycerin pill under my tongue and told me to hold it there. Had I not been in the Oschner ER when this episode escalated…? Most people, faced with similar circumstances when it comes to their heart, apparently do not. I am not writing or sharing this just to share my story; there are much better, more amusing, more curious parts of it to share from a storytelling standpoint. I am sharing this because I was very fortunate, in large part because I realized that something wasn’t anywhere near right – even though I really didn’t feel ‘all that bad’ at the time. Oh, and ignoring or downplaying heart symptoms is not just a stubborn-male attribute. One of the more interesting statistics I found when doing some basic research? Women are more likely than men to delay treatment. Thankfully, I listened to my body. I hope this encourages you to listen to yours, too. I am not from Connecticut, and this aint King Arthur’s court – but it is New Orleans, in the national spotlight of late because the mayor orchestrated the removal of four major Confederate War monuments. And I am from Minnesota. A transplant, my family and I moved here nine years ago – my wife and I becoming inner-city teachers, helping to rebuild one of the worst school systems in America, post-hurricane Katrina. My perspective on the controversy and local angst over the removal of the statues is one of a citizen and a teacher; I see this as a teachable moment. Or rather, a series of them, a long-time in the making, as two of the four monuments I have driven by very regularly over the past nine years. I’ll be blunt: I think the statues need to go – at least, be removed from their prominent, public locales, and placed in a museum or park, along with some historical context. 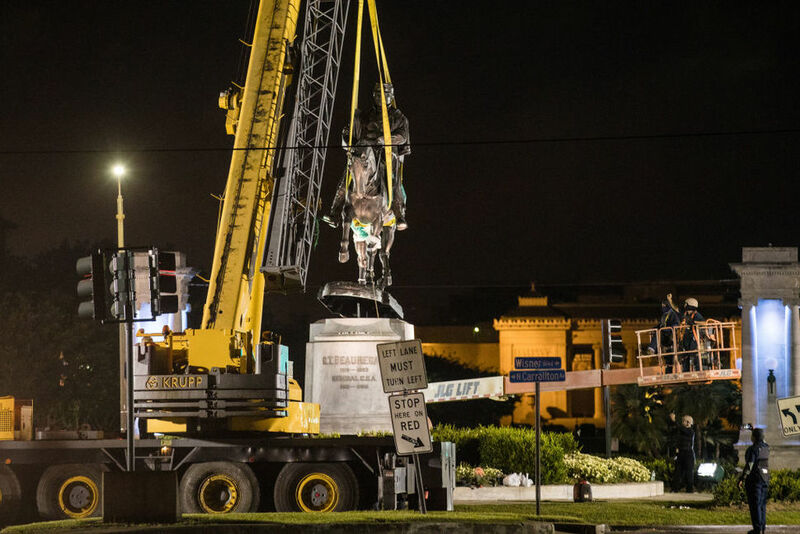 Especially the first one to be removed – the Liberty Monument, which commemorates a group of white supremacists who tried to topple a biracial post-Civil War government in New Orleans. Why this one had remained in public view for so long is way beyond me. The others, all of war heroes in various forms, I can at least, on some level, understand a historical attachment to. Many who are pro-removal speak of the offensiveness of the statues, but I eschew the ‘O’ word, as I think it has been horribly overused as a concept the past few years. Still, not having grown up here, living my entire life with these legacies, I do understand those who are offended by the Confederate monuments and their legacies – real and implied. As an American (not a Southerner, not a Midwesterner – an American) I find Confederate monuments in general to be more embarrassing than offensive. Embarrassment, coupled with puzzlement: where I am from, we generally don’t commemorate the losers. In fact, where I am from, the Twin Cities of Minneapolis and St. Paul, we commemorate a wide array of folks less imbued with automatic controversy. Those that came immediately to mind included a couple of famous American authors, along with the most famous characters created by one of them, a Norwegian violinist, and a bunch of famous cartoon characters. I’m talking full-fledged statues here – not plaques or granite markers of some sort. When mulling over my hometown statuary, a bunch of images lacking names came to mind, so I needed to hit Google for a virtual, refresher-course, tour to refresh my memory, and the wide array of actual statues was a pleasant eye-opener. I had immediately thought of the statue of Henry Wadsworth Longfellow, the poet, and of the bronze rendition of Minnehaha and Hiawatha together – his most famous literary creations.These were familiar from a childhood hanging around the parks where those edifices stand – in popular, high-traffic parks, where each has stood, independently, for over a century each. Only major point of controversy? That the depictions of Hiawatha and Minnehaha were ‘not Indian enough’. Then there was the more recent vintage, twenty years or so, bronze tribute to F. Scott Fitzgerald, which stands outside of a hotel I once worked at, and with whom I took a selfie a few years back. Okay, I am a writer and English teacher; Fitzgerald and Longfellow were gimmes. I also remembered the statue of Ole Bull, famous Norwegian violinist, erected in 1897, but I had forgotten about the one honoring Gunnar Wennerberg, a Swedish poet and stateman, which dates from 1915 (there is that ‘poet’ angle again). 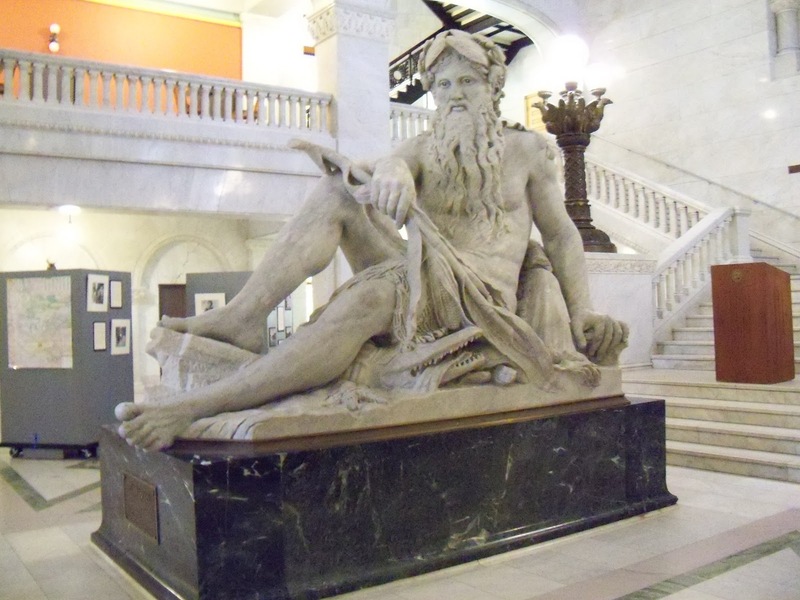 Then there was the biggie: The Father of Waters statue in Minneapolis City Hall. Added bonus, statue-wise: rubbing dad’s toe brings good luck. Crossing the Mississippi river to St. Paul, you can seek out any of the dozen or more, life-size bronze statues of various ‘Peanuts’ characters scattered throughout town as a homage to creator Charles Schultz, a St. Paul native. St. Paul is also the hometown of Fitzgerald, and his tribute, and also features a statue of the renowned German philosopher, poet, and dramatist, Johann von Schiller. A most intriguing monument from my hometown is one of particular curiosity, and some confusion, to visitors not from the area (and many locals): a bronze statue, mounted on a wide, concrete base, with a lot of adornment and words of praise, for Thomas Lowry – the father of the Minneapolis streetcar system. A bit overdone, in a lot of people’s eyes. 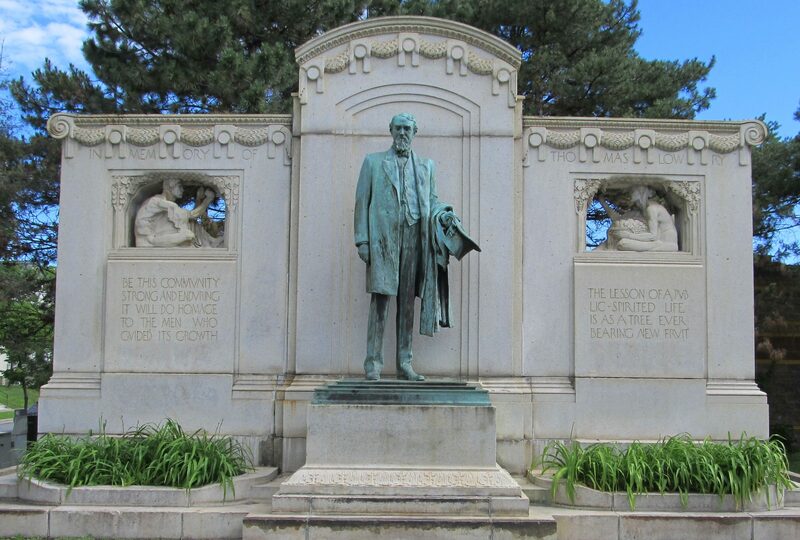 Then there is another monument, a bronze statue of Theodore Wirth, considered one of the finest in America. 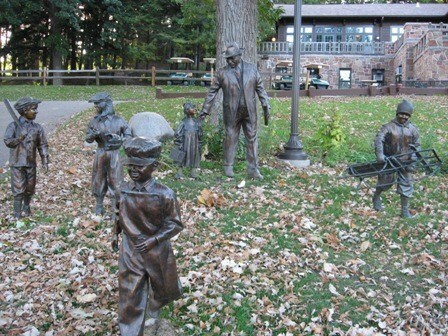 His legacy is secured not only by the parks, but by the four, life-sized, bronze children playing around him…and the one clutching his hand. There, of course, the typical variety of memorials to wars fought, and people who worked to build America (Abe Lincoln, Nathan “I only regret that I have but one life to lose for my country” Hale, to name two) along with statues commemorating pioneers, immigrants, and initial white inhabitants – some fodder for controversy amongst indigenous peoples, but largely accepted. There are also a number of paeans, in statue form, to local native populations. 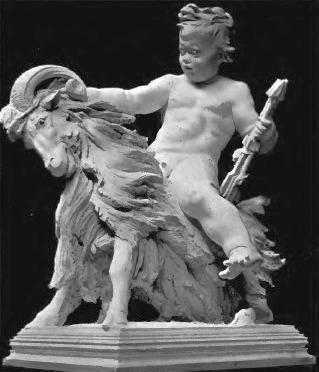 I guess I come from a different statuary environment. Not that there isn’t some hometown controversy involving some deeply-rooted cultural feelings about symbols, and what they represent; Minneapolis is currently in the process of trying to rename its largest, most prominent lake – Lake Calhoun. This is no small thing in a place that bills itself as, ‘The City of Lakes’ and has thirteen identifiable lakes within its borders. The lake was named for John C. Calhoun, U.S. Vice President in the 1800’s and strong proponent of slavery; having the city’s largest, most famous, centrally located lake named for a famous secessionist has not sat well with a lot of the local populace for years, but now the park board and the city have moved to change the name of the lake back to its original Dakota name, Bde Maka Ska (be-DAY’ mah-kah skah). The move is not without controversy, but is lacking the, at times, overwrought, hand-wringing, angst of doom over any impending loss of ‘cultural heritage.’ In fact, many of the businesses in the cosmopolitan neighborhoods around the lake, that have ‘Calhoun’ as an identifier, have already begun changing their business names. Changing the name of a lake is a big deal; approval still needs to come from the state department of natural resources, as well as U.S. Board on Geographic Names, due to the implications of changing maps – no small deal. Still, opposition has been limited and fairly tame, compared to the removal of statues in New Orleans. 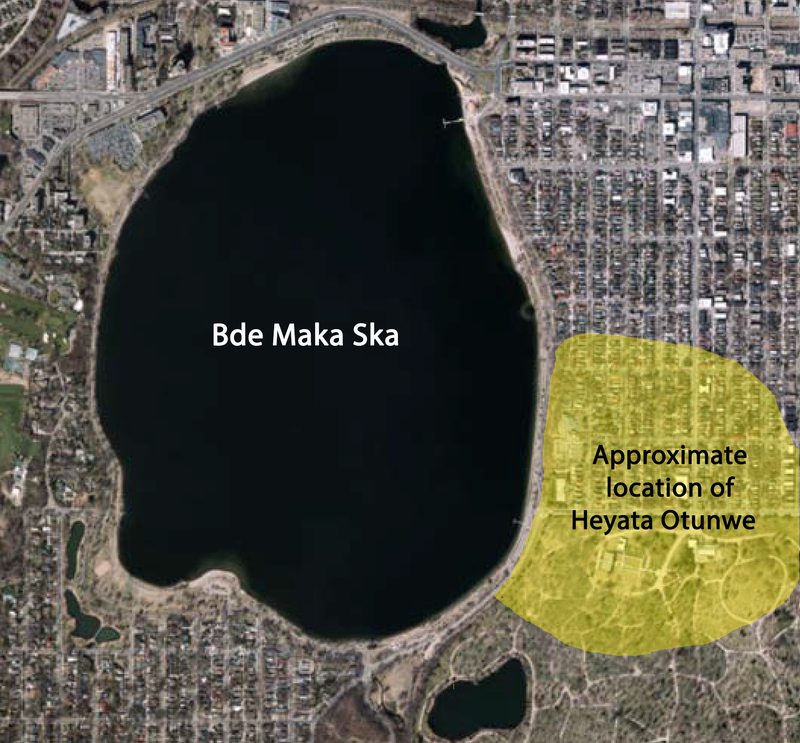 And, as opposed to being a divisive issue, returning the original, Dakota name, Bde Maka Ska is seen as a point of reconciliation with the local indigenous populations, and is strongly supported by a wide array of business, community, and religious organizations. A far cry from the lack of vocal civic support here in New Orleans. There have been plenty of individual citizens speaking out here regarding statue removal – perusing either of the local papers, or any of the local broadcast media outlets will get you a plethora of material, but there has been very little said by any of the major civic organizations in town. This surprises me somewhat, as I believe that much of what is driving the removal of the statues now is largely driven by economic and business realities. I get that groups don’t like to take sides in such things, and don’t want to alienate constituencies, but there is also a part of me that feels someone should be stepping up about why this benefits the community – especially the tourism industry, the largest segment of the local economy. You see, New Orleans celebrates its 300th birthday in 2018, and has a full slate of events to celebrate, and expects the world spotlight to be shining brightly on the city, generating more tourism, and substantial monetary value to the city. 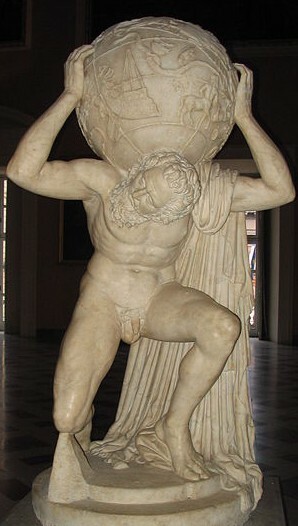 I believe there are many who will benefit greatly from these statues being gone, and by the positive press getting them removed has been generating around the world, but nobody wants to talk about that. In the meantime, a lot of passion and anger is being stirred up about ‘cultural heritage’ and ‘erasing history’ and nobody seems to want to get involved in giving anything any reasonable, thought-out context. My adopted city could possibly learn a few things from my hometown. Speaking with some of my A-day sophomores at the end of class on Friday, I was informing them that I wouldn’t be seeing them for nearly a week, as they will spend the bulk of the day Tuesday doing pre-ACT testing – new territory for them, and I’m not sure they are ready for the rigor of this sort of testing. I was collecting work as I reiterated some of the test strategies they should be using, and they were generally agreeable – then, one young man, usually one of my hipper, more engaging students in that group, asked what I would be doing on Tuesday, if I would be giving a test. “Nope. 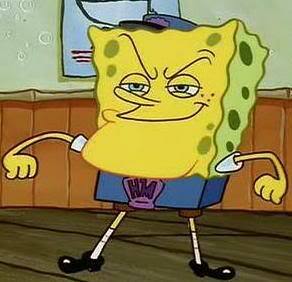 I have a senior homeroom, so I get to spend the morning being SpongeBob.” I continued my stroll around collecting tests. His tone was one of great concern. “Corny that I will be a hall monitor?” The rest of the class seemed nonplussed. “Yeah, and I don’t think you should be.” He was serious, though the disapproving tone was mostly gone. He was drifting into disappointment. I shrugged, the bell rang, I told them to have a nice weekend. ‘Especially, when its lameness derives from being obvious or done to death. 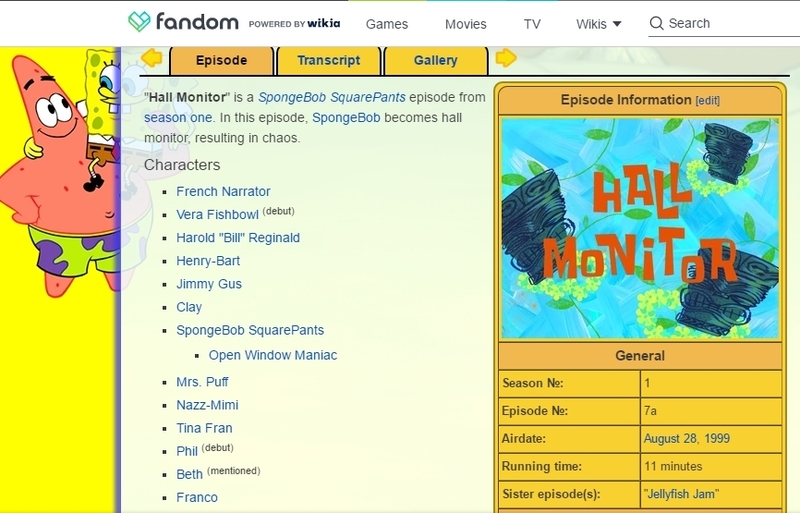 I have been a SpongeBob fan since the beginning of the show in 1999, but haven’t watched much the last few years, kids being pretty much grown up and all, though I have watched a few recent episodes with my five-year-old grandson – and, of course, I have seen the movies. 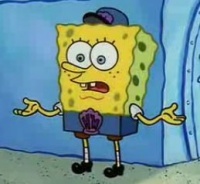 But Encyclopedia SpongeBobia was new to me. Having two sons both into comic books and superheroes to one degree or another, and being a high school teacher, I have a reasonable understanding of fandom and general obsession with the minutiae of certain characters and their environs, but this? Of course, I had to (virtually) thumb through the ESB. 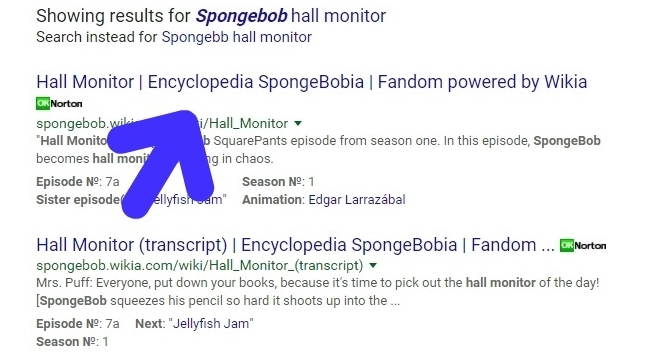 Original episode air dates, character list, plot synopsis (‘In this episode, SpongeBob becomes hall monitor, resulting in chaos.’) pretty basic, sums it up nicely. But so does the six-paragraph full synopsis you can scroll to further down the page. And you can keep scrolling, because there is a lot more. In fact, reading through the key points on this compendium entry will take you far longer than the eleven minutes it would take you to watch the actual episode. 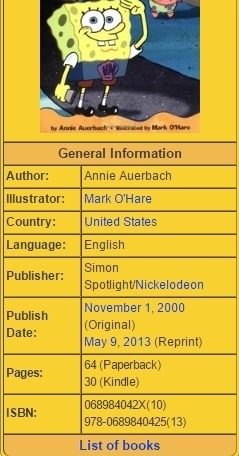 OK, kids cartoons being made into books is not a new thing – you could purchase Little Golden Books of many of the cartoons I watched as a kid, but my curiosity being hat it is, I decided to click to see if the unbridled enthusiasm of the episode Wiki was as detailed for the book. All sixty-four pages. Thirty, if you are reading on a Kindle. I am a Kindle-kind-of-guy, so I had to check it out. Sixty-four pages gives you a lot of time for character development and story exposition, and by golly the folks who put it together deliver on all counts. Pretty decent read, to be honest – a bit of an Alexander Wollcott/Robert Benchley vibe, actually – and it did hold my attention, probably more than it should have. My students would surely find that to be a very corny thing to do. But I’m still wearing a SpongeBob tie on Tuesday. The camera toward my face? Come, let me clutch thee! I have thee not, and yet I see me still! Proceeding from the need-oppressed brain? As this which now I snap. And such an instrument I will to use. Whose howl’s his forwards, thus with his stealthy pace. Words to the heat of deeds too cold breath gives. Doesn’t have the same pleasing linguistic lilt to it as ‘The Age of Enlightenment’ does it? Since we seem to be living in a time that is just the opposite realm of intellectual renewal, maybe my first euphemistic recalculation can be something along the lines of ‘The Age of Fried Filaments-ment’. Eh, rather clunky. And too obscure – the younger folks used to curly bulbs will be as clueless as they are filamentless. because, as I have gleefully discovered, if you say it with a bit of a chuckle, it gets a laugh, but when you add in a disapproving look and an edgier inflection, not a lot of people find the applied moniker ‘Skippy’ to be one of subjective endearment. Damn, Skippy! That’s just watering stuff down to make things seems peachier than they really are, and I don’t think we need to go down that road, as the idea of making something all soft-and-sweet-and-vague in this age of chaos and uncertainty is already being expanded by the absurdity of ‘alternative facts’ – which is not a euphemism for ‘opinion’ it is just plain wrong from a grammatical and practical standpoint. And that is an English teacher fact, though this next one is my opinion: ‘alternative fact’ is the most pure and unspoiled of oxymoron, a complete and contradictory abomination of language and rational thought. Though not being totally comfortable with the medical origins of the word ‘moron’ maybe I should opt for something more neutral; oxyclod? Oxydolt? Oxydunce, perhaps. Son-of-a-Bisquick pancake. You really did. I originally wrote this back in 2010 – not a presidential year, but still rather volatile, politically. Stumbling across it again now, I wondered if my gripes then differed from today. I’ll let you be the judge, though I have added a few more contemporary comments, in bold italics. I recently had a firsthand experience that outlines just how acutely American politics has gotten to the vapid, too-partisan-for-words, what-about-us-in-the-mainstream, point that it is now at. “Soooo….then I should mark you down as ‘undecided’?” she asked as a statement, in a puzzled tone. “So, I should mark you down as ‘undecided’.” She was quite certain this was the correct answer. “O.K. – so you’re not undecided.” Her tone reverted to bewilderment, but at least it was a statement, not a tentative question. Again, I don’t know what organization, party, PAC, coffee klatch or bridge club she was representing – but there were a few things about the call that concerned me. The first is that my answer should not have been seen as such an oddity. Surely I am not the only person in the country who will vote for – GASP! – the best candidate (as I see it) for the job, regardless of party affiliation – or am I truly the last of a dying breed? I wouldn’t think my answer should have led to such consternation; flustered the woman completely, I did. 2016: I believe I may indeed be the last of a dying breed, and should probably be protected in a game preserve somewhere to prevent my extinction. All in all, it was a very strange call to be getting but certainly not the most egregious political intrusion of the season. Some other election year pet peeves? Let me count the ways we can make this a much more comfortable process. 1. Keep yours/ours/their religion out of politics – and vice versa. Yeah, we may belong to the same faith – heck, even the same denomination – but just because we share a pew on Sunday morning doesn’t mean I share your political stance. And it really ticks me off when you start talking politics over coffee, and you assume we all agree – because we go to the same church – and you continually use the pronoun ‘we’ in your pronouncements. Let me tell ya, guys…you seem like basically decent fellows, but there is usually no ‘me’ in your ‘we’. Six years later, I am attending two different churches regularly, and this is not an issue at ether. Though at one, people do not discuss politics at all, and the other is a more social justice oriented congregation, where differences are discussed and celebrated. A much more comfortable scenario in either case. 2. 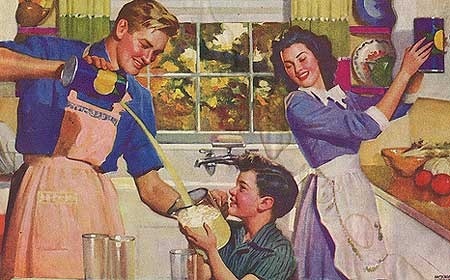 Along the same lines is this sidebar to candidates; stop telling me you’re a ‘family values’ kind of guy. Who’s family? Aadams? Manson? Swiss Robinsons? It’s especially galling when you talk of ‘family values’ and your background includes dalliances with hookers, DUI’s or past domestic disturbance calls to your home. I’m all for redemption, but don’t play the ‘family values’ card – stick with issues, give me your solutions to problems – ya know, the stuff I really want my politicians to do. This is more true than ever – at least in regards to the phrase ‘family values’ which now has the linguistic value of a three-dollar-bill. 3. Quit demonizing everyone you disagree with absurd labels: Socialist! Darwinist! Illegal immigrant supporter! Racist! Anti-business! Muslim! Not a real (fill-in-the-blank)! I know, I know – shock value gets attention…when you are in the sixth grade. Grow the hell up, people. Yes, please do – as individuals, and as a culture. pro (noun) \ˈprō\ 1.an argument or evidence in affirmation 2: the affirmative side or one holding it. ‘Affirmative side or one holding it’. By definition, you are implying that anyone who is not ‘pro’ like you is automatically ‘anti’ whatever you are ‘pro’ of. That is absolute nonsense. On any issue you want to be ‘pro’ on, there is plenty of room on the spectrum of logical, rational thought before you get to ‘anti’. (see number 1, above) Does this one still hold true? Absolutely. 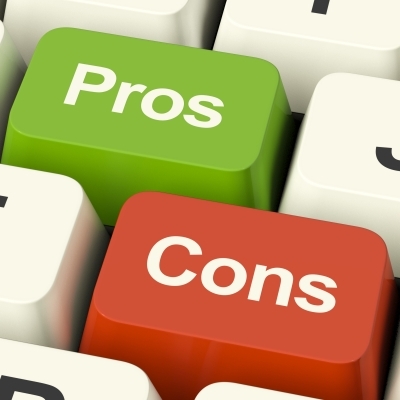 ‘Pro’ may be the single most misused word in American political discourse. You get the idea. The whole black/white concept of American politics is ridiculous, dangerous and stupid – and the results are pretty obvious. Our national debate should be taking place in the gray areas where most of us live – somewhere between the I’m- pro-this-and-you’re-anti-that-so-go-to-hell extremists. 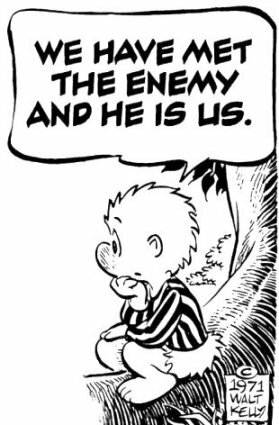 In 2016 it remains true: we have, they are – and therein lies our greatest weakness as an American electorate: we, they. Very little ‘us’. As in all of us. As in U.S. As in ‘We are all Americans’. I am thinking today of my mom’s great aunt, Maybelle Sivertsen. Having watched Hilary Clinton accept her nomination last night, and seeing all the posts on Facebook – especially from women – history came to life for me. Born in 1898, Maybelle was an intelligent, raucous, bawdy, charismatic, charming and always elegant woman of deep faith,who was married to a prominent doctor, but her own life resume was pretty impressive in its own right. Among her many proud accomplishments were being a suffragette, and the work she did in helping women achieve the right to vote. There is a family photograph from a cousin’s wedding in the mid-70’s. It is in my aunt and uncle’s basement, at the afterparty. Maybelle is seated in a chair in the corner, hands in front of her on the head to the cane she then used. She is sitting up bolt-straight, and is obviously in mid-oration. It is a picture that perfectly captures Maybelle as I knew her, but it is not what makes the fuzzy, Instamatic shot so memorable. Sitting at her feet – some cross-legged on the linoleum floor, one or two crouching, all in their powder-blue tuxedos, many with long, ‘hippie hair’ – are the groomsmen from the wedding. Their heads are all tilted upwards as they are focused on Maybelle, and a couple of the more visible of the young men’s faces carry looks of awe. I have no idea what she is regaling them about; even in her mid-seventies, she was abreast of all the current issues and had definite opinions about all of them. She was a progressive, all-in for civil rights and equal rights. Whatever she was saying the rapt attention of those young men. I totally get that. Maybelle always had time for me; in part because she made time for everyone, in part because, more than most of my immediate family, I loved history and loved hearing (and telling) stories. At about the same time the photo was taken, America had just ratified the 26th Amendment giving eighteen-year-olds the right to vote. I was still a few years shy of eighteen, but Maybelle wanted to make sure I was crystal clear on the importance of that newly-minted right – a right that was obtained a lot more peacefully than was her’s. From a woman who had personally worked, a half-century before, to get the 19th Amendment ratified, giving her entire gender the right to vote, I heard the gravity in her plea, the hopeful tone. In Maybelle’s eyes, this was a logical progression, just another step, and the right to vote was something I should cherish, and take very seriously. 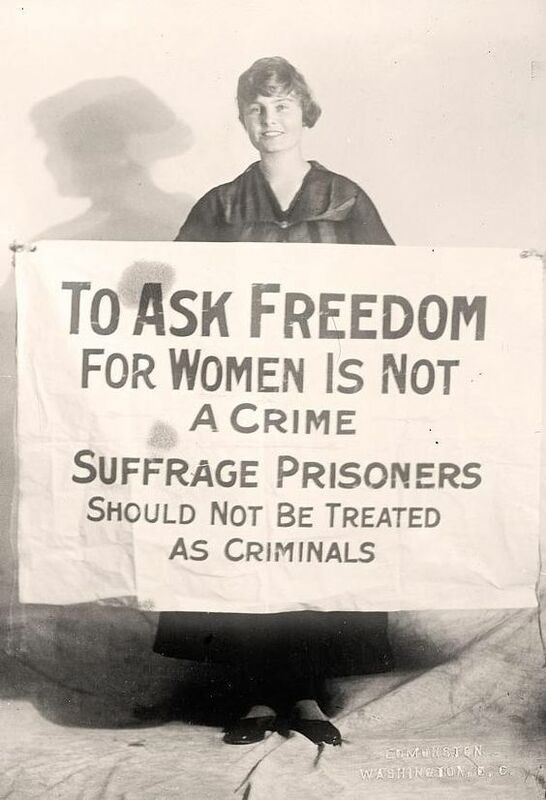 So the morning after watching history unfold on television, I am thinking of my great-aunt Maybelle – the suffragette. Somewhere, she is seated in a chair, sitting elegantly, proudly…her hands clenched firmly atop the head of her cane. 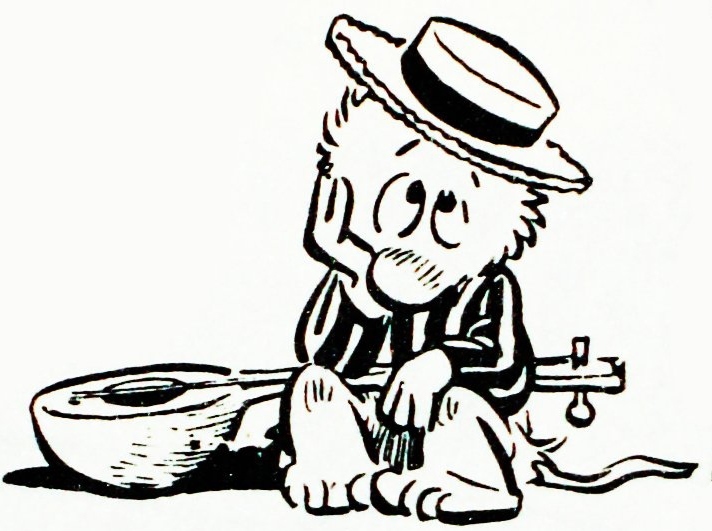 It has been a while since I have feted you with a pogo update. 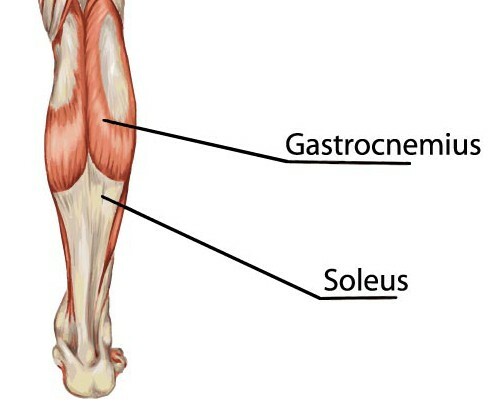 The last two weeks have been shorter workouts due to weather issues and a pulled left-calf. Fine for the most part, mid-pogoing, it tightens up once done. It is also a bit twingy on the dismounts – but improving. 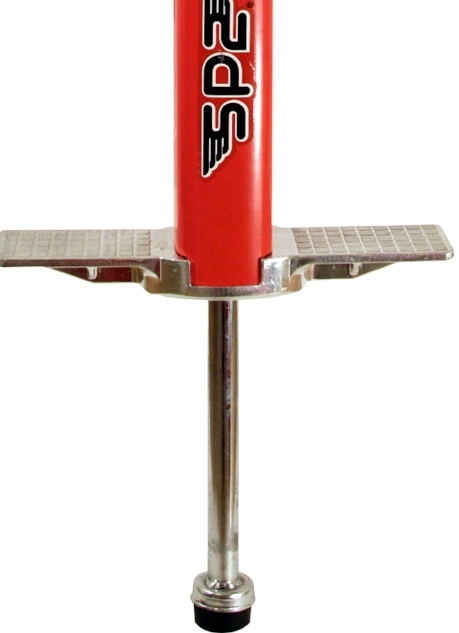 Not debilitating enough to keep me on the pogo sideline. The cop laughed and we chatted for a few minutes; I ran through the Reader’s Digest version of the story – always wanted one, got it for Christmas, longest stretch I’ve stuck with an exercise routine in decades, etc. He seemed mildly impressed. 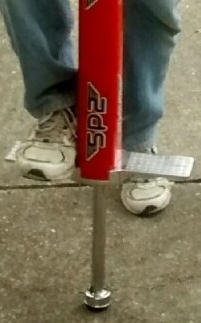 “I tried a friend’s pogo stick out when I was a kid. Hit some gravel, wiped out. Hit a hole, fell on my face in a puddle. That was it for me.” He shook his head, smiling ruefully. “Again” I stated, arms outstretched, palms up, pointer fingers aimed back. “Skilled, responsible practitioner.” He laughed heartily, told me to keep it up, and to be safe, I wished him the same good fortune. Two nights ago, longest workout in a while, breaking a nice sweat and had a strong rhythm – except for the traffic interruptions: a young couple walking a schnauzer that I apparently scared the hell out of, and two young moms pushing toddlers in baby strollers. One child was fascinated enough to stop sucking on her bottle, the other one…not so much; he kept working his pacifier. The moms glanced at me awkwardly, looking up from their texting briefly enough to do so. I was just winding down my workout when the guy across the street came home from work. I don’t know him, but he is usually pretty amiable, waving and saying hello and such. 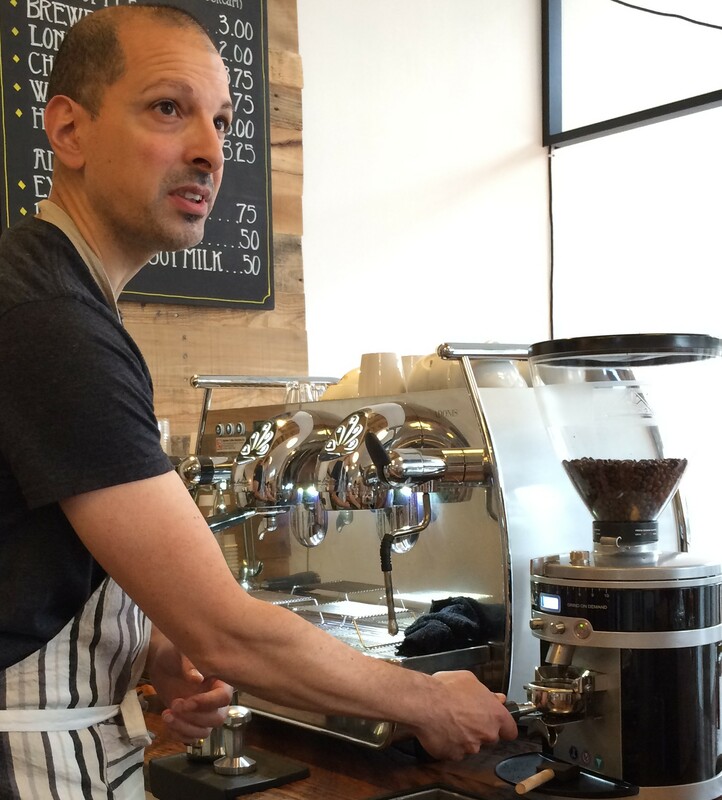 He is about my age and works out fairly regularly – or is just in really great shape. I think he hits the gym on a regular basis, while his wife, Mary, is an avid runner. Per street-pogo protocol, I hopped off, stood to the side as he pulled up. 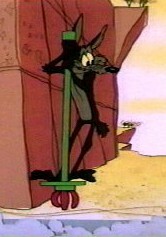 He got out, waved and said, “Now THAT looks like quite the workout!” in a tone that suggested ‘impressive stuff, dude’! “Is that something new?” He, too, then got the Reader’s Digest version of Mark’s Pogo Saga. With that, he waved, went inside his house, I worked a couple more med-range runs of 30-40 in and called it a night. The next morning, Amy and I are headed out to go to work at the same time that Mary, our neighbor across the street is doing the same. “That’s awesome!” I could hear my wife sigh. “Yeah, well, you probably look a little…wild out there. They ARE entertained by you. “She shook her head. “Pogo on, I guess?” she offered, with another sigh. You cannot watch a televised sporting event without an onslaught of Viagra, Cialis and Levitra commercials. It makes sense that the target market for said products would be males living vicariously through big, strong athletes doing stuff most men never got close to accomplishing outside of their fantasies and backyard they had when they were ten. Frustrated, wannabe, could’ve been athletes watching the real thing, drug makers unrealistically marketing a product that mimics a real thing. It’s a package deal. Ever pay attention to the sales pitch wording and the disclaimers? For the sake of this piece, in place of actual product names, we’ll just use the generic ‘Boing!’® as a surrogate, made-up trademark. Plus, as a generic, available over the Internet placebo word, it is less than ten percent of the cost of the name-brand words. This one is immediately problematic for most men as hearing loss and fuzzy vision are natural byproducts of the attraction to someone being strong enough to require a dose of ‘Boing!’® to begin with. Especially on a Saturday night at last call. I really like this one. It makes a totally illogical connection between a man’s confidence level and his ability at much of anything. Oh yeah…that’s why the ads target couch potato sports fans and DIY home improvement shows and rarely on Dancing With the Stars’– though I have seen a few pop up during presidential debates. THAT is an entirely separate post. Man-logic sees this as a neutral proposition; not being able to perform gives you the headache and upset stomach, actual performance gets you the delayed muscle and backache. This one sounds reasonable, in a medical-professional way, but…come on, most men lie to their doctors about their diets, level of physical activity, sleep patterns and vitamin intake. How many men will actually bring the ‘hey, doc, if I get lucky tonight, will I have a heart attack?’ up in doctor conversation? Is there such a thing as talking-to-your- doctor Boing!’® because I’m pretty sure the traditional ways men get up the nerve to talk to anyone about anything serious/sensitive/personal is not appropriate here. Showing up to see your doctor with Jack Daniels breath is going to pretty much negate any virility advice – especially if you start hitting on said physician. This one actually seems tailored to the psyche of the modern American male, who if he is still going after four minutes is going to know something different is up. An hour into such a situation, most guy’s bravado will supplant any rational medical thought and go straight to braggadocio potential. They are going to want to document the experience, and will take to Facebook, Instagram, Twitter, Vine – pretty much any social media with prominent time-stamps to share the progression (or, really, lack of regression) with the world. Even the more introverted or shy types will simply use their phones to take sexting shots they will then later share surreptitiously in health club locker rooms, with their pals on their over-fifty softball teams or the barista at their neighborhood Starbucks. Use this post only as directed.